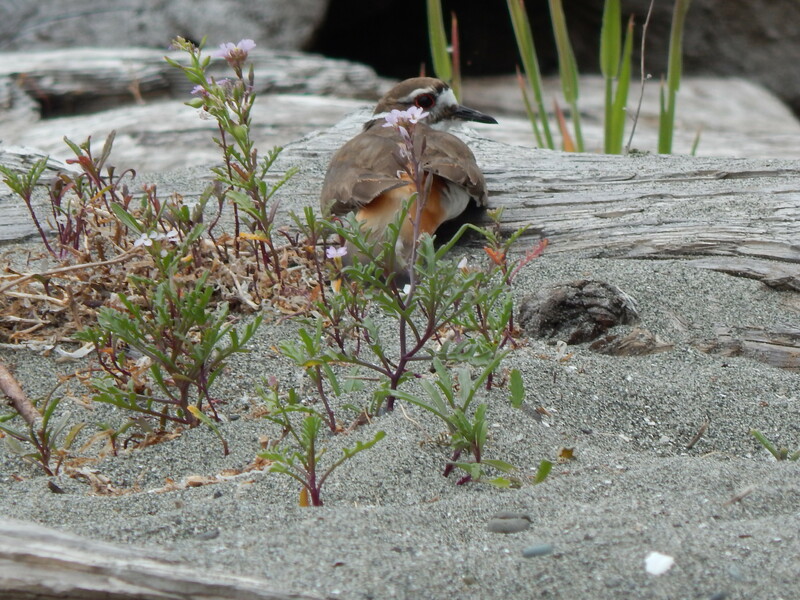 During one of my recent trips to this beach I saw a couple of Killdeers (they belong to the Plover family). They were doing their trademark sound and I found one settle onto a log. She did a little bit of her dance of distraction for me showing off her orangey feathers hidden when she stands. The still shots don’t really do her justice so here is a little video to see what she was up to. Then I wandered up to where the creek flows under the Ferry Dock to see who was enjoying the fresh water. 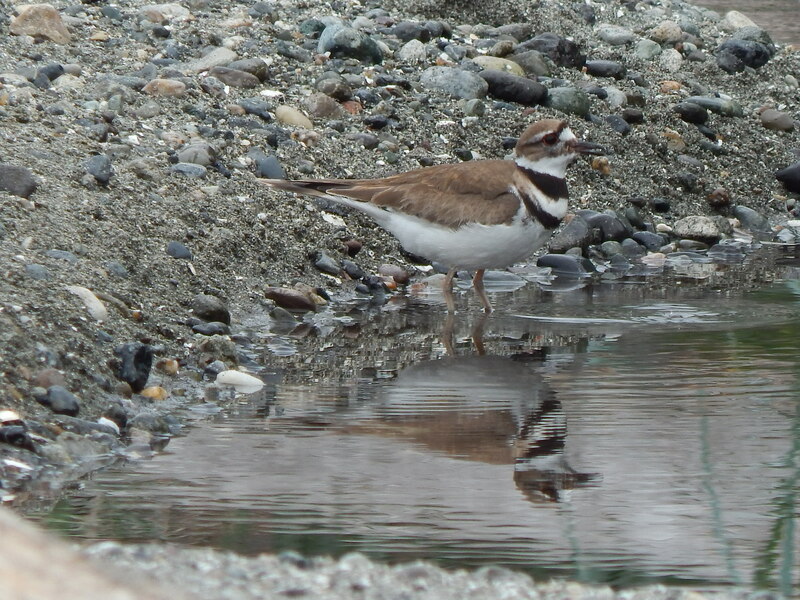 To my surprise there was another Killdeer sipping water and contemplating his reflection. 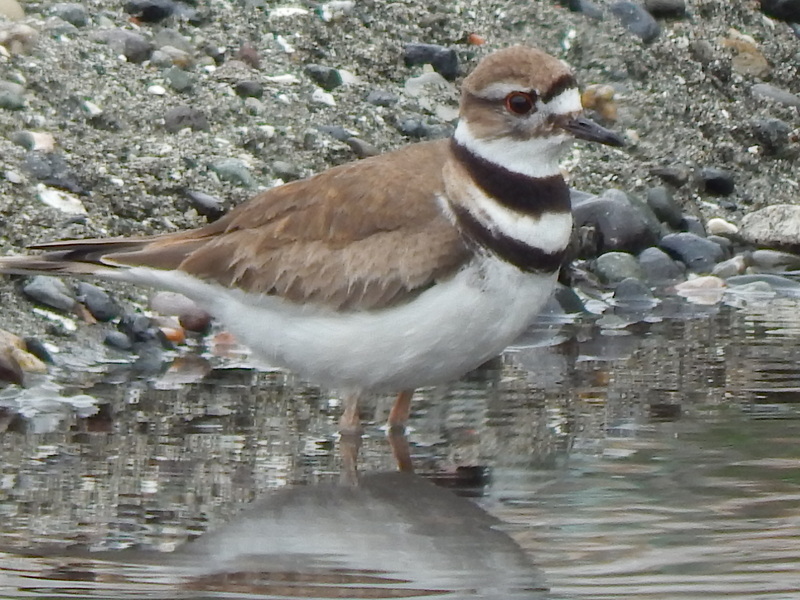 Check out his neck rings and long skinny legs standing at the water edge. But best of all here is the video of him drinking and hanging out as the creek babbled by. At the end you will see how close this little nature moment is to a bustling ferry dock with cars, people and a big ferry boat. 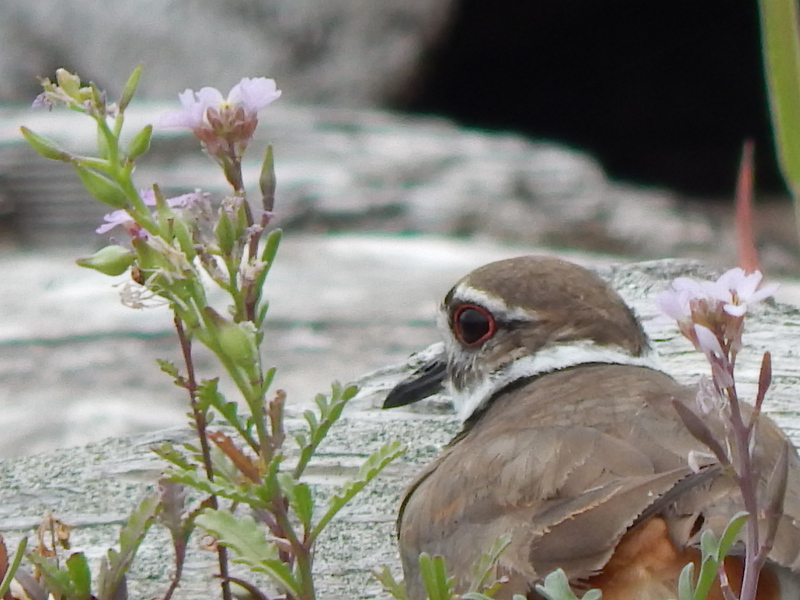 Never ceases to amaze me how birds can exist so close to us. We just need to look & enjoy them. Let serendipity take control. ← I saw the Elusive OWL!! !